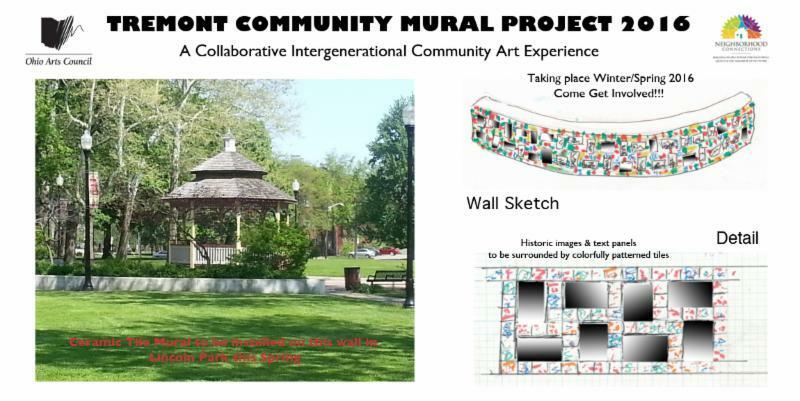 Tremont Community Mural Project -Participation Opportunities Preview!!! Winter/spring 2016, Tremont residents, as well as those who work, worship, learn and play here are invited to participate in the creation of a community ceramic tile mural for Lincoln Park, under the guidance of Tremont’s own, Angelica Pozo, nationally recognized ceramic artist that specializes in public and community tile art. Come to this Presentation at Pilgrim Church on January 23rd, 1-3:30pm and find out more about how you can sign on to get involved. Join the facebook group to get regular updates!